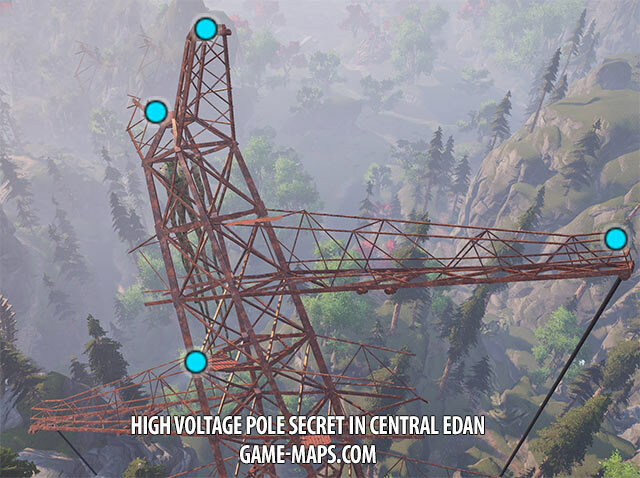 Map of Central Edan for Elex. Missions, NPCs, Quests, Teleporters, Trainers, Traders, Monsters, Items, Secrets, Hints, Locations ELEX Walkthrough, ELEX Maps, ELEX Guide & Wiki. 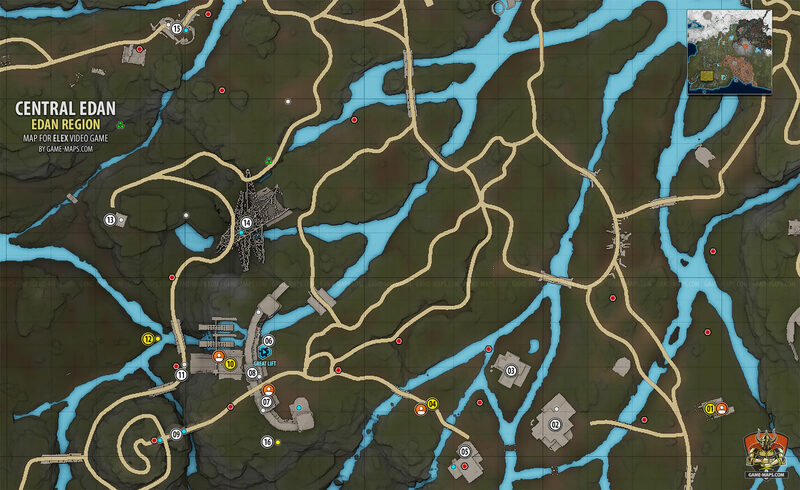 Central Edan Map for Elex. Talk to him, do not kill him. The Outlaw Bigby wants Ornir to start trading with him again. It seems his deal with an Outlaw has led to trouble. Ornir wants to put an end to that. If you kill him Rangar will be pleased. There is locked Chest inside. More bodies down the cliff. The elevator that accesses the Valley of the Damned doesn't seem to be working. A gear is missing. Sten took the gear and threw it down the cliff. I should look for it around the foot of the Water wheel. This gear seems to belong to the elevator.
" Directly west of #13, Last Audio 1, loot Dead Fisherman"
Climb using Jet Pack to pick up Elexit. I discovered a dead Seedling. It is clear this was Askor's Seedling. I wasn't stolen by someone from outside Edan. Killing a Seedling is a serious offense in Edan.